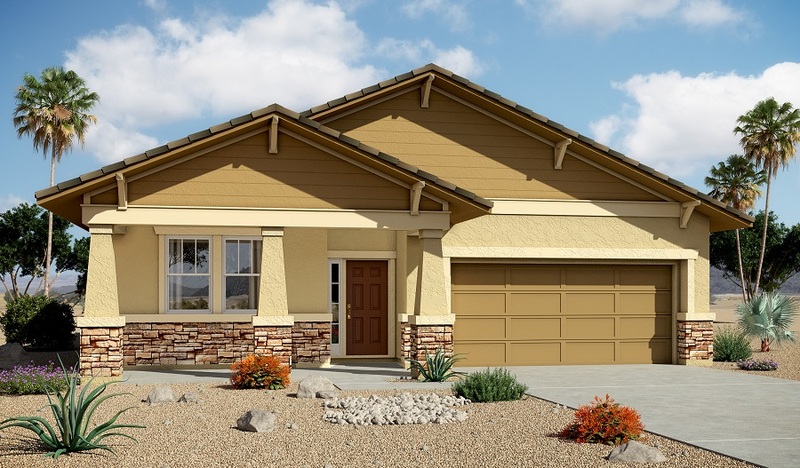 A paver-stone driveway and covered front porch welcome guests to this ranch-style model home. Inside, you’ll discover 10' ceilings, an extended great room and a gourmet kitchen, complete with maple cabinets, granite countertops, slate appliances, a center island, a walk-in pantry and a generous nook. An extended master suite boasts an attached bath with executive-height vanities with quartz countertops and an immense walk-in closet, and two additional bedrooms invite rest and relaxation. Other highlights include a convenient laundry, a covered patio and upgraded ceramic tile flooring.